There is a general belief that babies should wear shoes that are often hard, uncomfortable, and that limit the normal development of the foot. 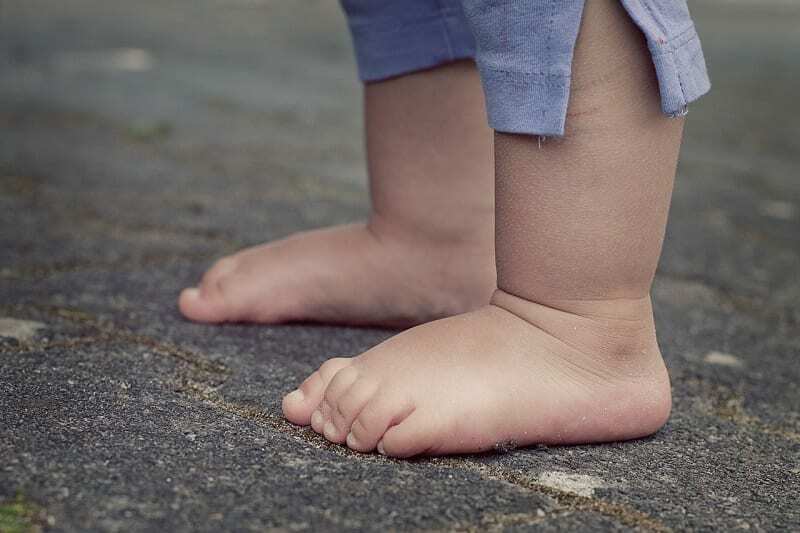 During the first few months of life, bare feet give the baby even more information than hands. This special tactile sensibility, of the perception of the movement and position of the feet favors the psychomotor development, reason why it is not advisable to wear pre walking shoes that prevents this contact with the environment. Unless, of course, the ground where the baby crawls in can cause damage. Also, if the baby is outdoors in cold temperatures, socks are recommended to keep feet warm. During summertime, it is best for your baby to go barefoot when he or she is at home. Until babies take their first steps, they should not wear shoes, so that the senses can be organized and get the most information about the environment. Enabling maturation, intellectual development and proprioceptive development. For these reasons, your baby’s feet should feel the pressure, strength, texture and temperature of the environment. When the baby begins to take his first firm steps, it is advisable to wear flat, sole shoes that are very flexible, non-slip and allow complete freedom of movement. The ankle should not be limited, i.e. the shoe should not cover the ankle.